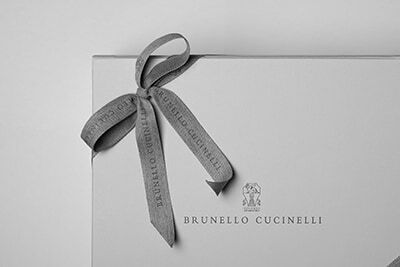 The Brunello Cucinelli suit is detailed in the new Prince of Wales check, a fabric that combines linen, wool and silk fibers to update the traditional pattern with a sophisticated retro touch. A lightweight texture of the fabric is paired with a fit that highlights the male physique: the jacket remains fitted in the chest and the shoulders are slightly pronounced, while the trousers are straight down the leg. 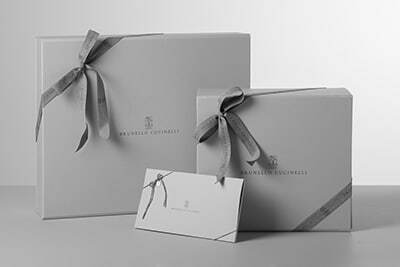 The new fabric updates the traditional flavor of the Prince of Wales check in a sophisticated way. Furthermore, the manufacturing of the linen, wool and silk fibers enriches the colors of the season with a slightly worn effect.